I looked out the kitchen window this morning and noticed a large pair of yellow butterflies. Grabbing my binoculars (love that I'm the type of person that now has binoculars near the window), I focused in and could see black spots and blue iridecent spots on the "tail." After a quick internet search, I was able to name it. 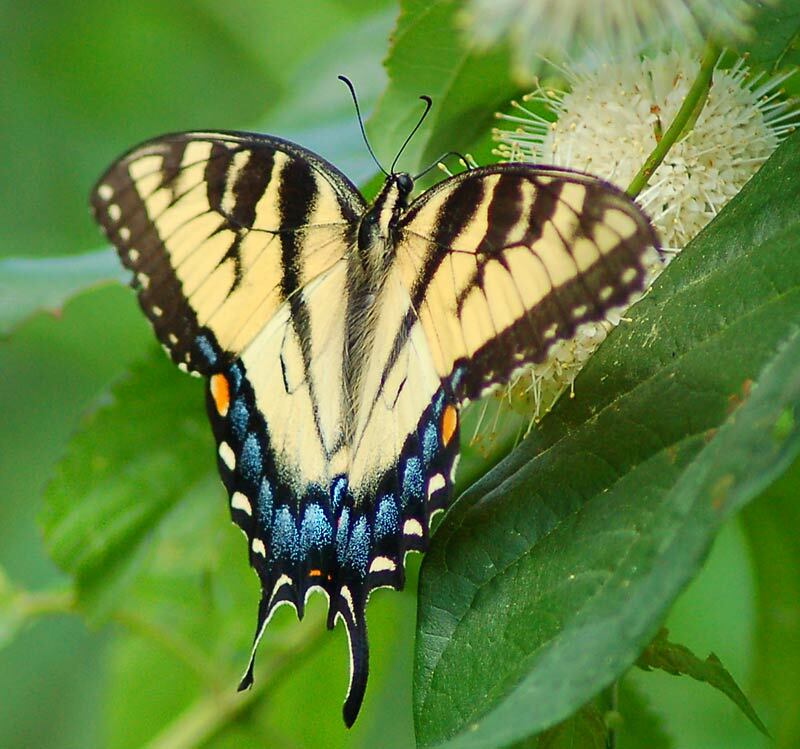 It's the Eastern Tiger Swallowtail. So pretty! I do love watching nature in my garden. Who Wants Fish for Dinner?